All Massachusetts Electrical Licenses expire on July 31, 2019. If you completed your required 15 hours at the JATC, we have submitted the 15 hours to the Board of State Examiners of Electricians on your behalf. You do not need paper certificates to renew for Massachusetts however, there are directions below on how to obtain them. The required 6 hours is submitted only on an audit basis – meaning if you are selected for an audit after the cycle ends, you will be required to submit proof of your 6 hours of Professional Development to the Board of State Examiners of Electricians. 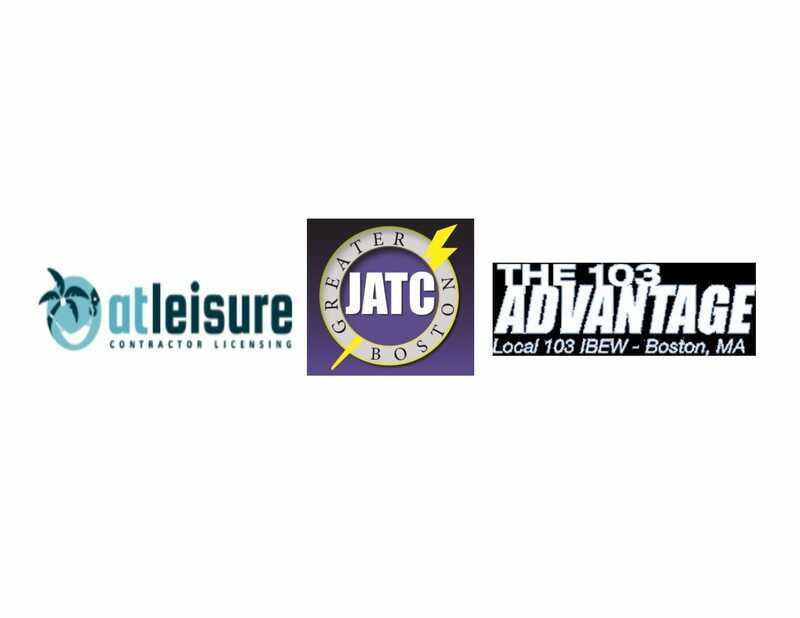 The JATC of Greater Boston and Local 103 have teamed up with At Leisure Contractor Licensing to offer online electrical continuing education for our members at a discounted price for those who are unable to make the classroom continuing education provided by the JATC. This course is approved by the MA Division of Professional Licensure to meet all continuing education requirements. This is a self-paced course, which allows you to complete the material at your leisure! State-approved by the MA Division of Professional Licensure to meet all continuing education requirements, completion of this course results in immediate access to your certificate. At Leisure Contractor Licensing will report your CE hours to the Massachusetts Board of State Examiners of Electricians. Any reference in this website to any person, or organization, or activities, products, or services, related to such person or organization, or any linkages from this web site to the web site of another party, do not constitute or imply the endorsement, recommendation, or favoring of the JATC of Greater Boston, or any of its employees or contractors acting on its behalf. The renewal process is between the Licensee and the BSEE. The JATC is simply relaying the information below to you as a courtesy to help you facilitate the process. ALL renewals will be conducted online. This means you MUST set up an ePortal Account sometime before July 31, 2019. The BSEE will begin accepting payments to renew your license on May 1, 2019. Before you begin the steps below, we suggest emailing dplauthcodes@state.ma.us for your authorization code which is required to set up the ePortal account and link your license to the account. Include your; name, license number, date of birth and last four digits of your SSN in your email. (a) Except as otherwise provided in 237 CMR 17.01, each licensee of the Board, as a condition for license renewal, shall present evidence satisfactory to the Board that, in the three-year period before license renewal, he or she has completed 21 clock hours of continuing education. (b)Of the required 21 clock hours, 15 clock hours shall be on topics related to the Massachusetts Electrical Code, business, law, and related topics with a Provider in an area of study approved by the Board. 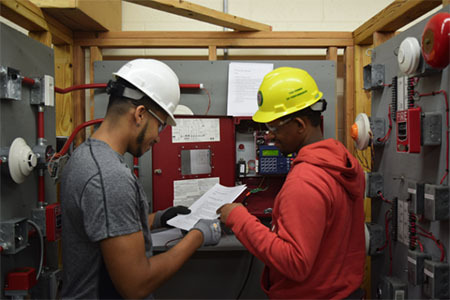 Courses offered for Master Electricians and Journeyman Electricians shall focus on 527 CMR 12.00, the Massachusetts Electrical Code, and other laws and regulations as they pertain to Electrical Work. Courses for Systems Contractors and Systems Technicians shall focus on the applicable chapters of 527 CMR 12.00, the Massachusetts Electrical Code, the adopted version of NFPA 72, and other laws and regulations as they pertain to Systems Work. The Board may require specific content to be contained in any approved courses. It shall be the licensee’s responsibility to ensure that their Provider has been approved by the Board. (c) Of the required 21 clock hours, six clock hours shall be in areas chosen by the licensee for professional development in the subjects of Electrical Code, business, law, first aid, safety, Building Code, and related topics. Said instruction need not be offered by a Board approved Provider.